It's not very often that I find a cheap perfume that I like, I've usually got quite expensive taste with my usual scents being between £40-£50 per bottle. 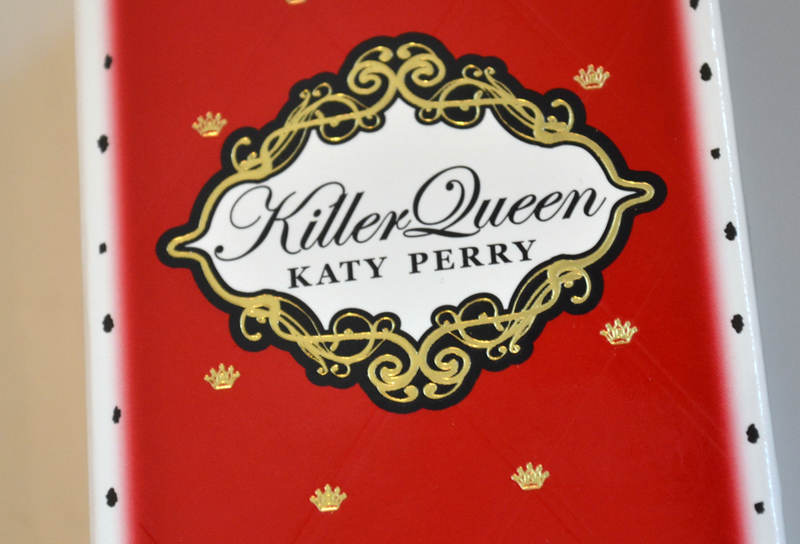 However, just recently I won Bekylou's giveaway which included a bottle of Katy Perry Killer Queen. Before winning the giveaway I'd not really heard much about any of Katy Perry's perfumes and to be honest on the whole I pretty much disregarded most celebrity fragrances as I wrongly assumed that they'd all be as sickly sweet. I opened the box and sprayed it all over my dressing gown; out came a very familiar smell but I couldn't quite put my finger on what it was to begin with. With base notes of patchouli and praline with dark plum, wild berry and bergamot this smells just like Viktor and Rolf Flowerbomb, only softer and at a fraction of the price! 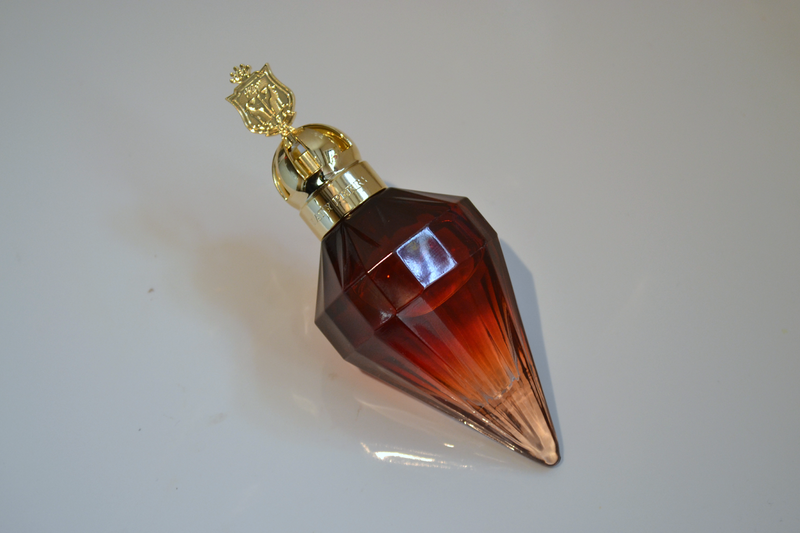 The Killer Queen bottle is a little bit on the 'tacky' side and it looks a bit out of place on my dressing table because it has to be stored laid down but I can definitely overlook this given it's similarity to one of my high priced favourites. The fragrance doesn't hang around for as long as Flowerbomb on skin but for £12.99 for 50ml you can afford to reapply it a couple of times. Also, if you like Flowerbomb but you still find it a little too much for day time wear this would be a great alternative because it's not as strong and overpowering. Don't get me wrong I love Flowerbomb but I'm not so keen on the £60 price tag! This has changed my opinion of celebrity perfumes completely, this scent is far more grown up than I ever expected it to be and if you like Viktor and Rolf Flowerbomb then I can't recommend this one enough. I think it's going to be a firm favourite in my perfume collection from now on! Thanks so much to Beky for introducing me to this! Do you have a favourite celebrity perfume?